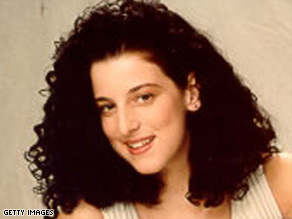 Washington police told the mother of slain congressional intern Chandra Levy that an arrest is imminent in her daughter’s 2001 death, Susan Levy told CNN on Saturday. “I got a call from the Washington police department, just to give me a heads up that there’s a warrant out for the arrest,” Levy said. Police Chief Cathy Lanier of the Metropolitan Police Department did not reveal the suspect’s name when she contacted the parents on Friday, Levy said. She said police told her they have “enough evidence to convict somebody.” A source close to the investigation told CNN the suspect was Ingmar Guandique, who is serving a 10-year prison sentence for two assaults in Washington’s Rock Creek Park that occurred around the time of Levy’s disappearance. Levy’s remains were found in the park. View a timeline of her disappearance » The source would not speak on the record because the investigation is ongoing and the arrest warrant had not been finalized. A California native working as an intern for the Federal Bureau of Prisons, Levy, 24, disappeared May 1, 2001. Her remains were found in May 2002 by a man walking his dog in a remote area of the park. The source said authorities are working to finalize the arrest warrant. Asked about reports that Guandique, a laborer from El Salvador, told a fellow inmate he killed Levy, the source said Guandique “was running his mouth.” Guandique has been imprisoned at the Federal Correctional Institution – Victorville, a medium-security facility north of San Bernardino, California, an official there confirmed to CNN on Saturday. Watch CNN’s Mike Brooks discuss Guandique’s background » He has denied any involvement in her death, the Washington Post reported Saturday. Guandique was mentioned last year in a Washington Post article about the killing. “It’s a bittersweet situation for me as the mother of a daughter who is no longer here. I want justice. I want to know that the person who did it is in jail and will not do it to anybody else,” Levy said. “Every day the elephant is there. Every day you get a knot in your stomach. It doesn’t go away. It’s a life sentence for the families and relatives that miss their loved ones. We have a life sentence of hurt.” Referring to the impending arrest, Chandra’s father told CNN affiliate KXTV that Lanier didn’t say when an announcement would be made, but “she said it would be really soon.” “She didn’t say the name yet, but we think we know who it is. I don’t want to say until it’s official, though,” the father said. The search for Levy and massive publicity that accompanied it stemmed largely from her connection to Rep. Gary Condit, D-California. Condit and Levy, who was from Condit’s district, had an affair, and police questioned Condit many times in connection with her disappearance. Police never named Condit as a suspect. Condit, a member of Congress since 1989, lost the 2002 Democratic primary and left office at the end of his term. He later reportedly moved to Arizona. “For the Levy family, we are glad they are finally getting the answers they deserve. For my family, I am glad that their years of standing together in the face of such adversity have finally led to the truth,” Condit told WJLA on Saturday. Condit’s lawyer, Abbe Lowell, blamed police and media attention on Condit for delays in the arrest. Police never named him as a suspect.